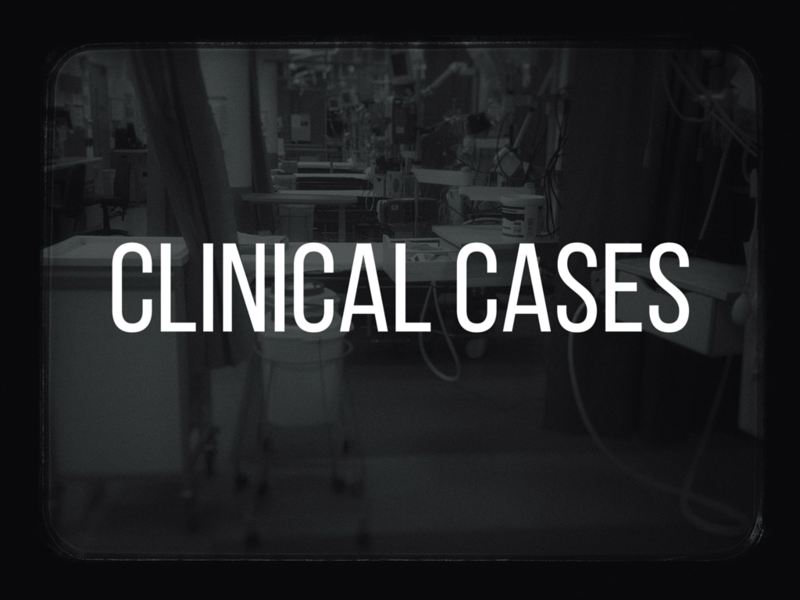 A 60F attends your ED with a complaint for sudden onset right arm weakness that began 90 minutes prior. She has been triaged to your ED by ambulance as a stroke call and has gone straight to CT without ED assessment for an emergent non contrast CT scan in preparation for possible thrombolysis. The paramedics tell you she is in a fib on the ECG that the patient tells you is new. The CT is normal and during your assessment of the patient you notice she has power 1/5 in the right arm but it feels cool to touch. She is also in significant distress with the pain. While your colleague is drawing up the tPA a light bulb pings in your brain and you tell them to stop mixing the tpa and ask them to check the peripheral pulses while you get the ultrasound. What is on your differential now? What was the diagnosis and what happened? Not everything that looks like stroke is a stroke and the pressure to get imagine to allow time critical reperfusion of stroke can lead to missed diagnoses. The red flag here was the pain in the arm as strokes rarely if ever cause pain. 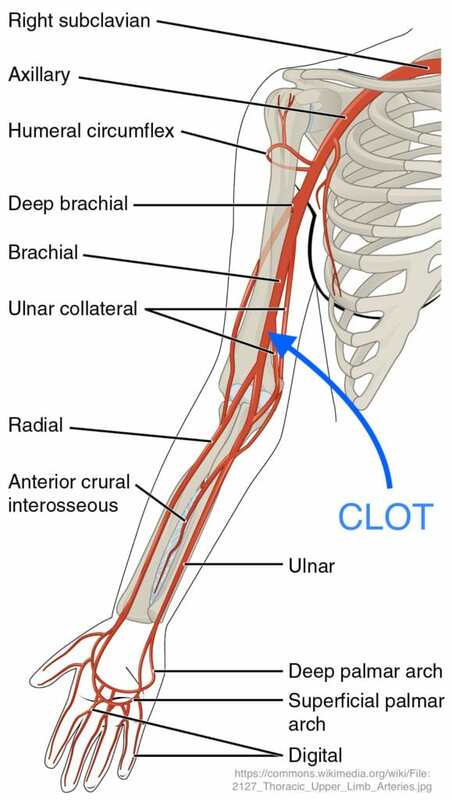 The atrial fibrillation was likely the source of the embolus and in many ways a peripheral limb embolism is much easier managed than a cerebral one. Other patients at high risk of embolism are those with severely reduced LV function or LV aneurysm as they can develop mural thrombus in the LV that can embolise peripherally. Once again your PoCUS skills could come in handy.